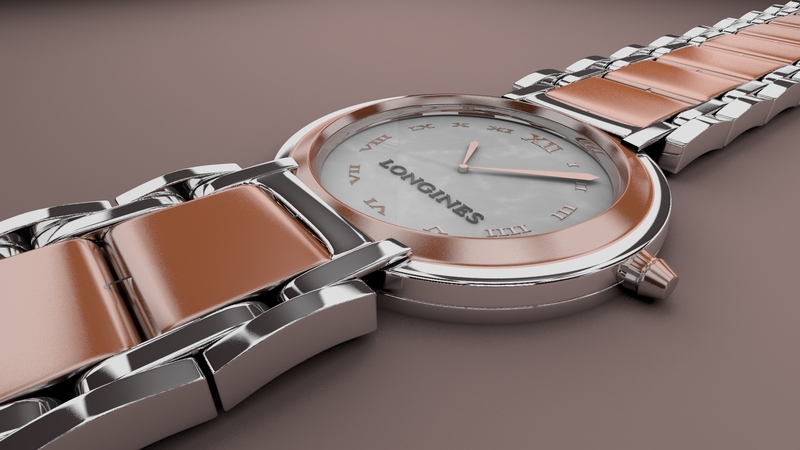 Home » Graphic Tools , Tutorials » Creating a Fancy Watch in Blender, Chapter V.
Create faces (you will need to extrude single vertices) in the selected area. To remove the black area, delete the faces selected. Your mesh should now be clean. Add an array to the new watch band piece, change the array count to 7 (or however much you’d like), change the default “X” value of the relative offset to 0 and the “Y” value to -1. Do the same for the middle part of the watch band. There’s one more piece of the watch band to create. Add a cube right in the center of the watch band. In Edit Mode (not Object Mode) move and scale the cube to the area and size you see in the picture. 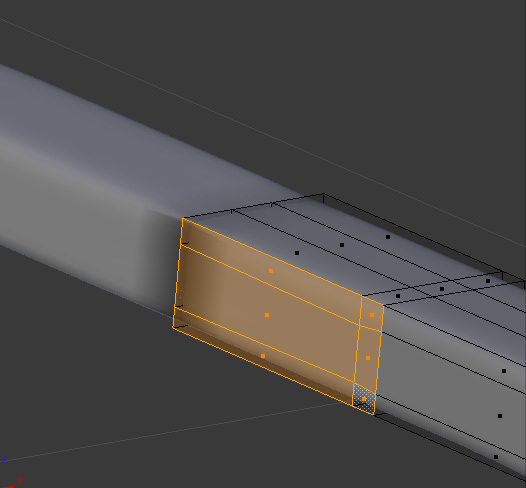 Add a mirror modifier and make sure it’s mirroring on the X-axis. The mesh should be mirrored on the other side of the watch band. Add a loop cut in the center of the cube and deleted the vertices selected. Add another mirror after the other mirror modifier. 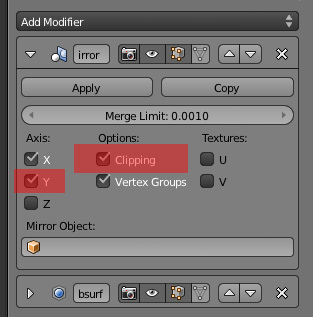 Uncheck “X” and check “Y.” Again, check “Clipping if you don’t wish the mesh and mirror to seperate. Add a subsurf modifier and set the view and render amount to 3.